Thanks to everyone who came by my table at Thought Bubble! I had a lovely time bumping into so many friends over the weekend. I've got a full table at Coventry Comic Con tomorrow - so I'll be bringing all the usual comics and zines plus a folder of ink drawings! I'm offering ink portrait commissions starting at £15. 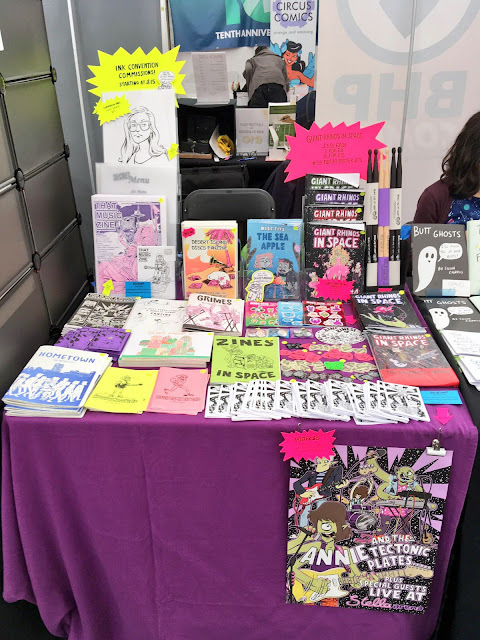 I've still got hundreds of free mini comics to hand out at events so please come say hi! You'll be able to find me at Table 24.